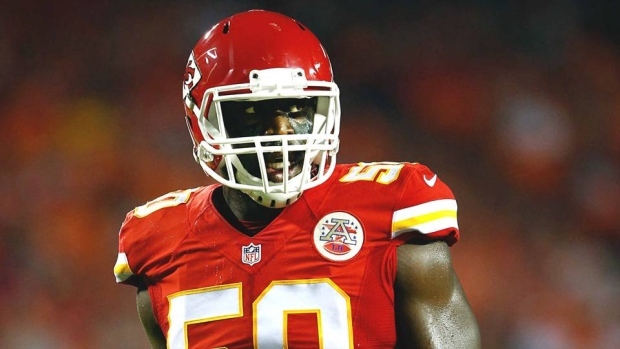 INDIANAPOLIS — The Indianapolis Colts have signed free agent defensive end Justin Houston. It's the first big splash the Colts have made this off-season. Until now, Colts general manager Chris Ballard had focused primarily on re-signing his own players. The only other free agent he added to the roster was former Carolina receiver Devin Funchess. He has made 96 career starts, recording 377 tackles and 78 1/2 sacks and was a first-team All-Pro in 2014, when he led the NFL with 22 sacks.